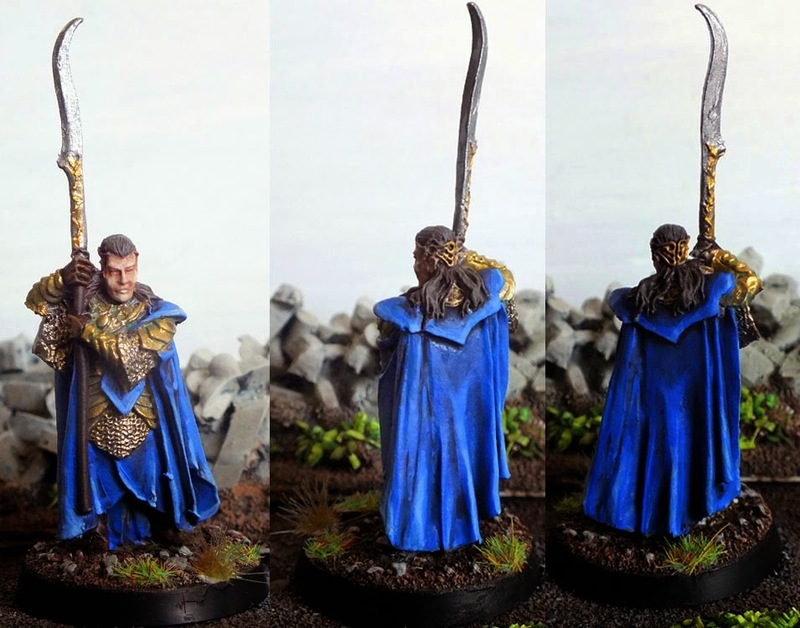 Middle Earth Minis: 68th post - Gil-galad of the Noldor! 68th post - Gil-galad of the Noldor! 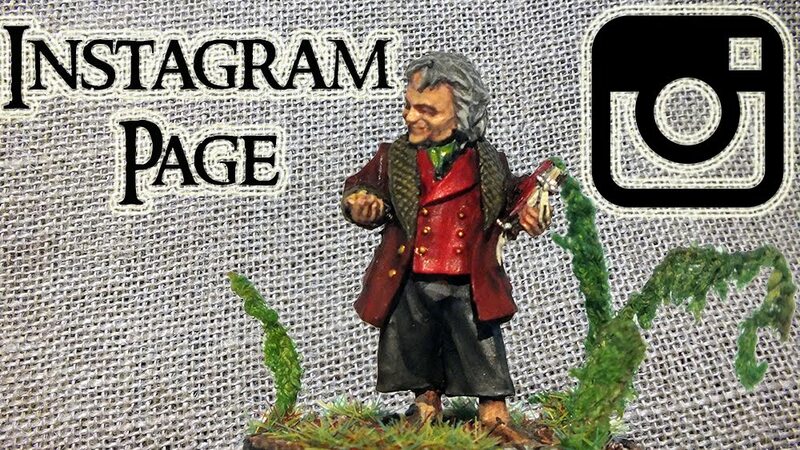 This one is very exciting for me since this is a great character and also a great miniature!! Gil-galad was the last king of the Noldor. He led the elves of the last alliance against Sauron in the Battle of Dagorlad (being killed in that same battle). 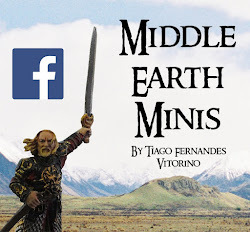 This mighty First Age elf carried to battle one of the most legendary weapons of Middle Earth's history - the spear Aeglos (translated Snow-point). About this model, I can honestly say that it was one of the miniatures that I enjoyed painting the most. It's a lovely model, and I'm very pleased with the final result that I achieved here. As always, any kind of tips or suggestions are very welcome. É um dos pontos que eu mais tento aperfeiçoar: as expressões das caras! A fantastic work on the blue colors..very nice! Great job Jimmy on one of my favorite minis. This model is really awesome! 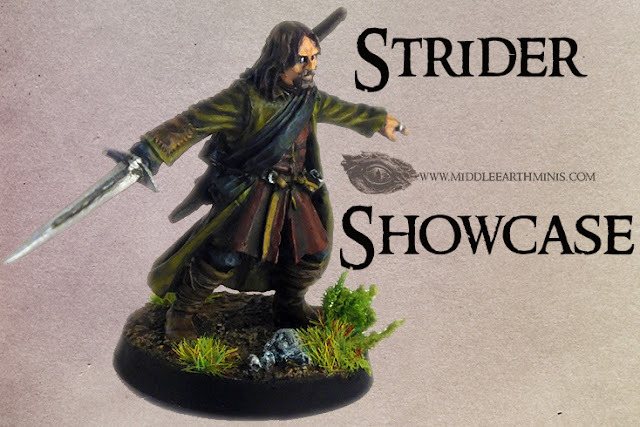 Lovely miniature - pity that Gil-Galad only got about 4 seconds on-screen in 'Fellowship'! By the result, it is obvious that you have enjoy it!!! Excellent work!! 75th post - Blog of the Month, March! 70th post - Isildur ! 67th post - Nr 44, the Last Alliance! 65th post - Mounted Faramir! 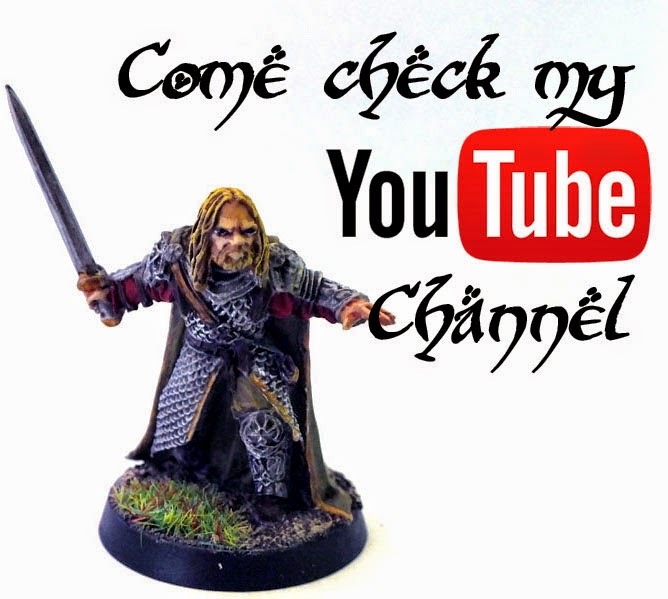 64th post - Mordor Banner Bearer!